What an insanely good recommendation. I absolutely loved all three songs on myspace. How often can one say that about a new artist the first time through his songs? I like David Mead and Freedy Johnston, so I had to hear this guy and I wasn't disappointed. (I'm on my fifth time through his songs.) The car horn in "Heart of Hearts" cracks me up. I also hear some Simon and Garfunkel influence and even some Beach Boys in one of the songs. There's many other nods to other artists ... maybe England Dan and John Ford Coley? Anyway, good stuff. Thanks for putting it out there. 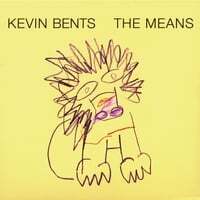 The Means is an excellent album that holds up extremely well to repeated listenings. In addition to the songs highlighted in the review, "I Don't Want to Lose" and "Only You Only Me" are personal favs. You should buy this album.